Drugged driving creates victims, regardless of the cause: opioids, methamphetamine, marijuana, polydrug use, or many others. So we’re pleased to support the initiative of SAM (Smart Approaches to Marijuana) sponsorship of a petition to Secretary of Transportation Elaine Chou, the National Governors Association and the National Council of State Legislatures. 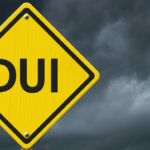 The petition requests increased support for both public education on the dangers of DUID, as well as more tools for law enforcement to prevent drugged driving. We urge you to sign the petition on either the High Means DUI website or on the We Save Lives website.